  ADV Products  Sena 30K: The User-Friendly Mesh Headset We’ve Been Waiting For? 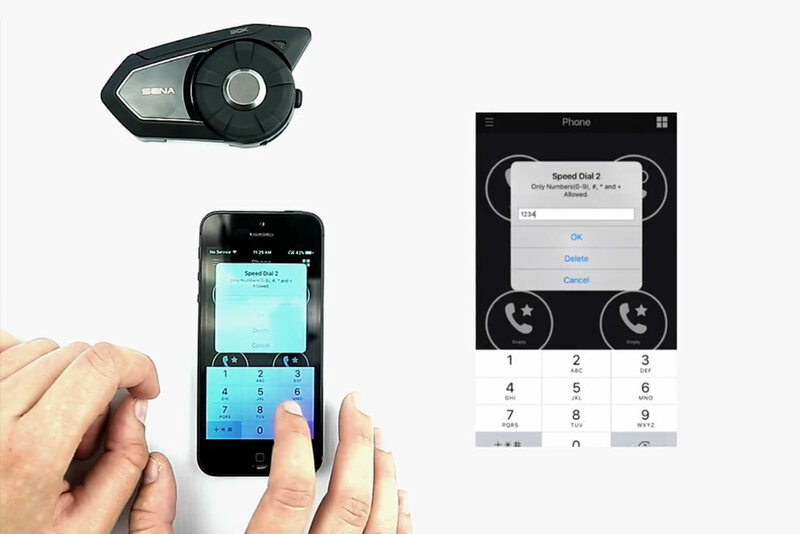  Sena strives to make group intercom more user-friendly with new Mesh Tech. The new 30K Bluetooth Headset features Mesh Network Technology — the future of group intercom communication. 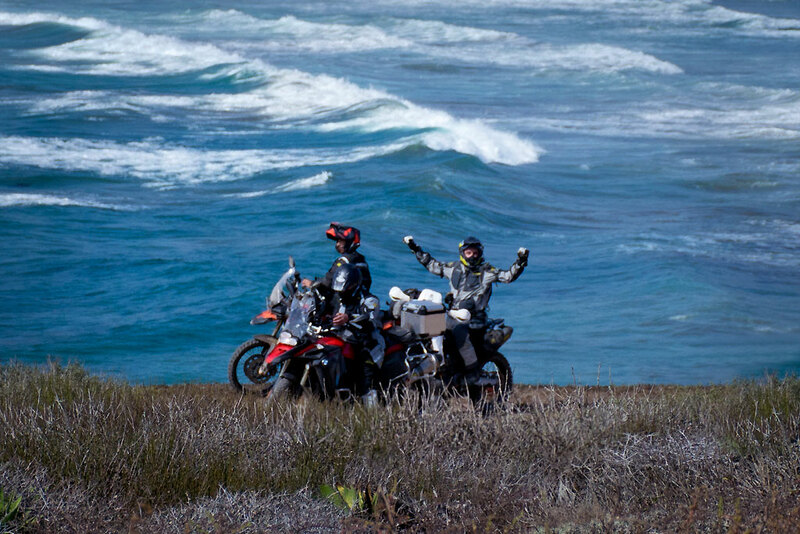 For many Adventure Riders, Bluetooth Headsets are indispensable for their journeys. We’ve become accustomed to getting audio GPS directions, being able to take a call from home while riding with clear sound or having our favorite tunes on the road. After more than a decade of development, these devices now include an amazing array of features and house more processing power than your computer did in college. Even so there’s still room for improvement, specifically in group intercom functionality. With traditional Bluetooth Headsets, setting up a group intercom is a complicated process of connecting one rider at a time in a virtual chain. Figuring out button sequences, who’s connected to who, and whether everyone can be heard, is a bit like herding cats early in the morning when your riding buddies are raring to go. Keeping everyone riding in the order they were paired is the next hurdle. If one rider gets out of line, the group intercom chain can be broken. 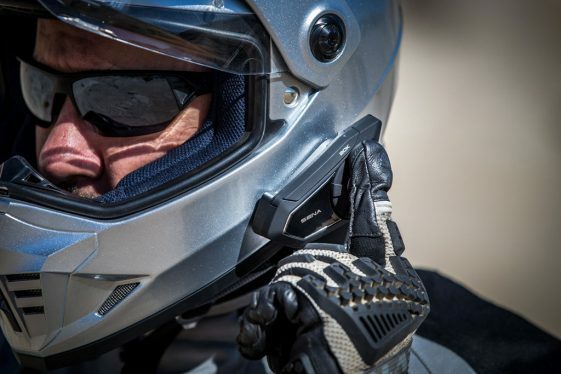 If one rider falls out of range using traditional Bluetooth Headsets, other riders may be unable to communicate even if they are staring each other square in the face. Yet, the convenience and safety value of a good Bluetooth intercom system can’t be emphasized enough. Whether you are warning riders behind you about an approaching truck, receiving tips on how to tackle a tricky section of a trail, planning where to stop for gas, or just catching up on the latest with old friends, intercom communication offers real benefits for your group rides. After using group intercom features on a dozen different Bluetooth Headsets before, we began to think a little frustration is to be expected. It is sophisticated technology right? Luckily, the folks at Sena Bluetooth didn’t fall into that think trap and focused their engineering resources on removing the hassle out of using group intercom. The result is the new 30K Bluetooth Headset, which features Mesh Network Technology — the future of group intercom communication. With the Sena 30k Bluetooth Headsets, riders can leave the mesh network without disrupting the whole group and reconnect seamlessly when they are back in range. Mesh Network technology differs from the one-by-one paired connections used in standard Bluetooth Headset intercom systems. With mesh, you connect to a group instead of an individual and everyone in the group is connected to everyone else. The advantage is that any rider can drop out of range without affecting anyone else’s communication. Riders don’t have to stick to the specific order their devices were paired and can move around freely without risking a break in the chain. 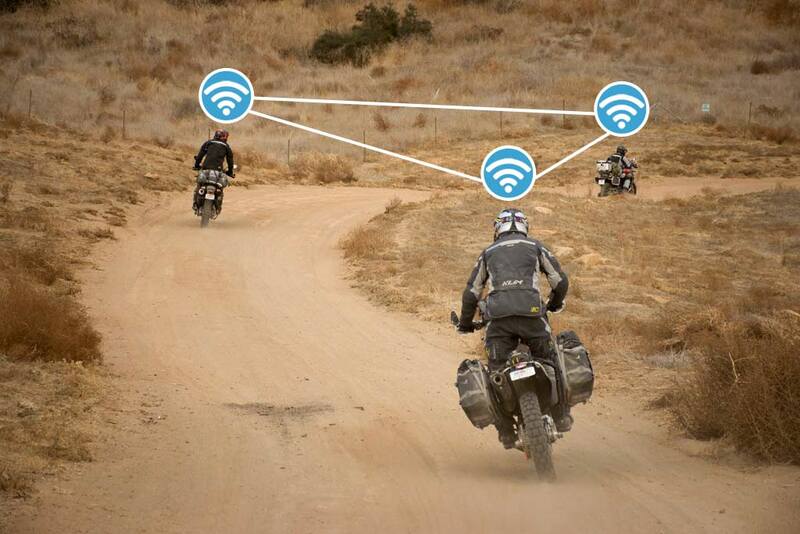 While Sena wasn’t the first to market with a Mesh Network headset, being second has some advantages. It allows you to evaluate the market reaction to a new technology, see what works and what doesn’t, so you can release a more user-friendly, functional design. After announcing plans for the new 30K over a year ago, Sena has been working hard perfecting the device, making sure they get it right the first time. So how easy is it to get connected using the a Sena 30K? All riders need to do is push the Mesh button to turn on Public Mesh Mode and it automatically begins connecting everyone within a one-mile radius. “That’s it?” was our initial reaction during the first test of the 30K. But within seconds, we were all talking to each other on the intercom. One click, it’s that easy! 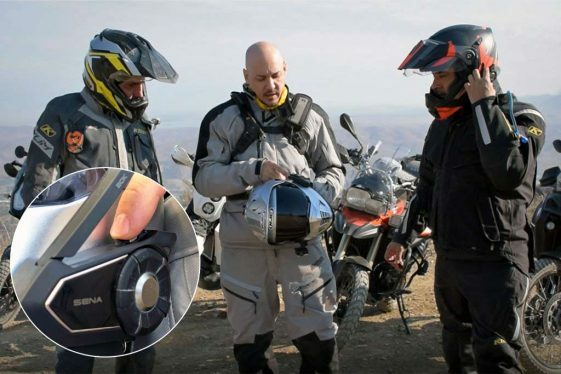 The Sena 30K in Public Mesh Mode is the only Bluetooth Headset on the market that lets you connect to an ‘unlimited’ number of riders, and it allows up to six riders to talk at the same time. While even the most technology challenged riders in your group will find it easy to get connected, Public Mesh Mode does have a few limitations. For one, it works like a radio channel and anyone can listen in on your conversation if they have a 30K. The other limitation is in the range. Everyone must stay within a one-mile radius to maintain communication with every member in the group. We spent much of our first day of testing riding in Public Mesh Mode and it worked well as long as everyone stayed in a tight formation. We noticed that as soon as we started to spread out a bit, riders either at the front or back of the group would begin to drop off. Although as soon as a rider comes back in range, they are seamlessly reconnected. We found the range of Public Mode to be ideal on the street where riders maintain a closer spacing. 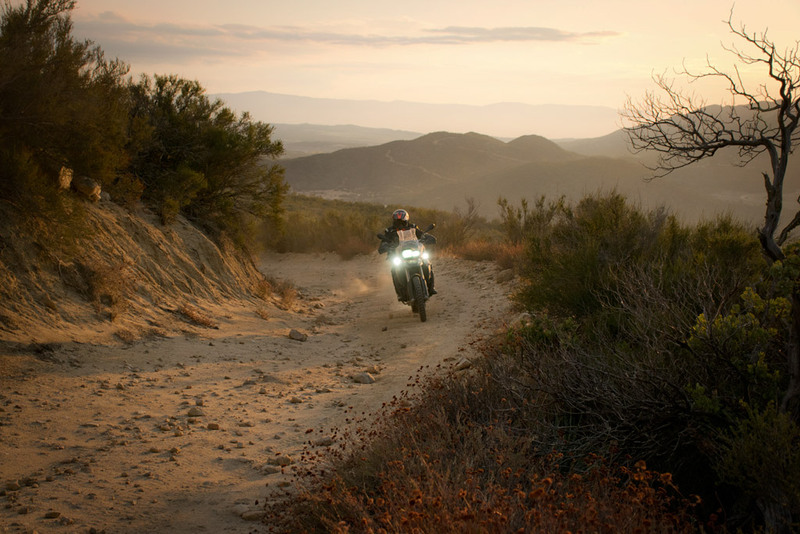 On the trail, where riders try to stay out of each other’s dust, it’s typical to spread out more. But if you are in a hurry to get rolling, Public Mesh is the easiest way to get everyone connected and just go. The 30K’s Adaptive Mesh-Network technology connects each rider to every member in the group, instead of the linear 1-to-1 pairing of traditional Bluetooth Headsets. 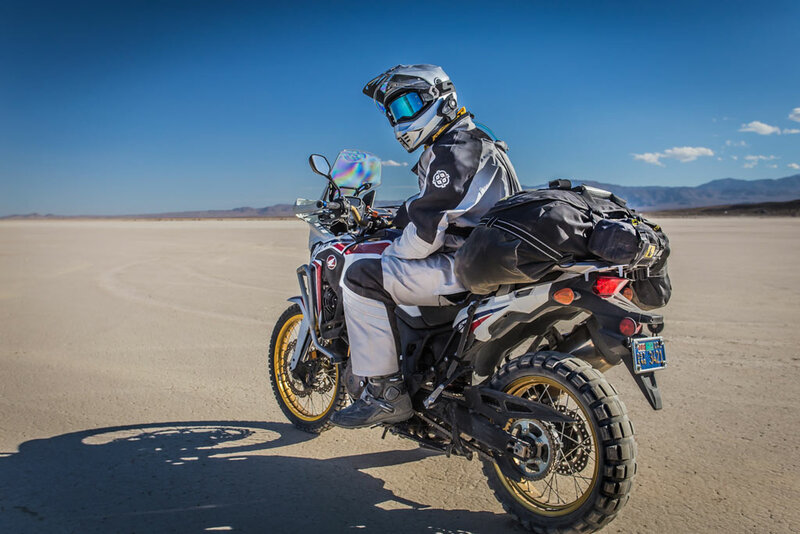 To extend range further, Sena has a second mode called ‘Private Mesh’ which allows up to 16 riders (still industry leading) to spread out over a range of five miles. Setting up a private mesh is also easy to do. One rider holds down the mesh button for 5 seconds which sends an audio invitation out to every other rider in range to join the group. Riders click the button once to accept the invitation and are instantly connected. The Range and clarity in Private Mesh mode was noticeably improved. The Sena 30K in Private Mesh Mode has an industry leading 1.2-mile maximum range between any two riders. 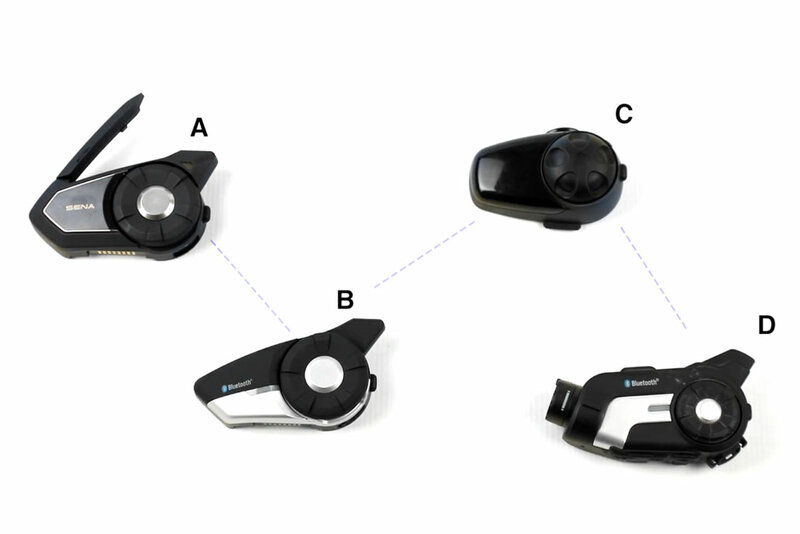 Like all Bluetooth headsets, range claims are based on line of site communications and performance can drop significantly once you go over a hill or ride through a dense forest. The Mesh Network technology allowed us to maintain our connections more of the time and the range and clarity was as good as any units we’ve tested before. In both Public and Private Mesh Mode, it was by far the easiest time we’ve ever had getting everyone in our group connected. Just like all of Sena’s Bluetooth headsets, the big jog dial and prominent buttons make using the device easy with a gloved hand. While the Mesh Network Technology is the centerpiece feature on the new 30K, the new unit also comes packed with tons of other goodies. Essentially, it includes the same feature set as their previous top-of-the-line unit, the 20S: It lets you connect two separate Bluetooth devices like an MP3 player, mobile phone or handheld GPS; It has music sharing capability and an FM Radio; Audio Multitasking dims your music in the background when you take a call or join the intercom; And for those that want to use noise-canceling earbuds, there is a 3.5mm audio jack to plug into and an ‘Ambient Mode’ button to hear sounds outside of your helmet (e.g. talking to an attendant at a toll booth). Just because you’ve upgraded to a 30K doesn’t mean your buddies are going to also. But that’s OK, the 30K has two separate antennae and processors, one for standard Bluetooth and another for Mesh Network. This allows the device to connect in standard Bluetooth only (Sena or non-Sena), or both Bluetooth and Mesh together at the same time! Although, traditional Bluetooth headsets will still have the same connection limitations of linear pairing. The good news is that when your buddies on standard Bluetooth headsets fall out of range, they won’t affect communications of Mesh Network riders in the group. You can still use the Sena 30K with older non-mesh Bluetooth headsets and bring them into an intercom conversation with other 30K headsets on the Mesh Network. For those that want to get more advanced, the 30K can also can be controlled through Voice Commands. Voice Commands aren’t for everyone, but the hands-free option is a real safety feature, and once you get the hang of it, a real convenience. We were happy to discover how easy Sena makes using Vocie Commands on the 30K. There is really only two phrases you need to remember. If you say “Hello Sena” at any time, the device will enter voice command mode and begin to ask you to “Say a Command.” Just ask “What Can I Say?” to get a full list of available commands. It’s a pretty fast learning curve and in no time we were turning on music, changing radio channels, and checking the battery level. To release even more voice command functionality, you can activate your phone’s virtual assistant (e.g. Siri, Google Now, Cortana) by pressing the ‘Phone Button’ once quickly. This gives you have the full range of commands available on your phone like “Call Wife” or “Directions to home.” You also have the option to control the Sena 30K with a mobile phone App which lets you set up private networks, speed-dial numbers, preset radio stations and more. Device settings can easily be configured through the App such as audio multitasking volume, voice command sensitivity or audio quality settings. A convenient App for Apple and Android lets you configure the 30K’s settings quickly. The Sena 30K is also compatible with the Prism Action Camera. You can control the camera using the 30K’s Jog Dial or with Voice Commands, and all of the audio from your headset, including your voice, music and intercom conversations, gets captured in the video. With any new device, a few bugs are to be expected and we did run into a sound issue using the 30K with the Prism in Ultra HD Audio Mode. Sena tends to be good about consistently rolling out fixes for known issues in their firmware updates and we expect this will be addressed in short order. No doubt the Sena 30K is a very sophisticated device, but that doesn’t mean it’s functionality you’ll never use. Fortunately, Sena does a great job providing easy to understand instructions that encourages you to explore the devices advanced functionality. The entire Sena 30K manual is actually a quick read, and there’s also a Quick Start Guide that makes getting up and running even faster. What’s more, they have a full range of “How To” videos available on YouTube outlining usage of each feature of the 30K for those that don’t like to read. One drawback of the new Mesh Technology is that it uses more power than standard Bluetooth. A Sena 20S offers 13 hours of Talk Time, while the 30K running in mesh mode provides eight hours. For most riders eight hours is more than enough, but if you are like us, you often end up riding long days. At one point during our testing we did get a “Battery Low” voice prompt. For those times, the new 30K comes with a ‘Quick Charge’ feature. A 20-minute charge during a fuel stop was all it took to boost battery life an extra three hours, plenty of time to make it to camp. If you need to, you can also charge while you ride and continue to use the device. And if you forget to plug-in overnight, a full charge takes just 1.5 hours — the fastest recharge time we’ve seen on any Bluetooth Headset device. For those long days in the saddle, if your battery starts running low, you can always use the 30K’s 20-minute Quick Charge feature to get an extra three hours of talk time. Bluetooth Headsets have come a long way in the last decade or so, and Mesh Network Technology is one of the biggest advancements in a long time. 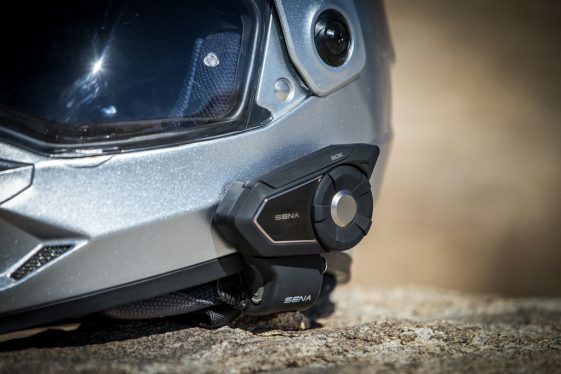 Sena has incorporated the top-of-the-line feature set found in the 20S, including industry leading range, crystal-clear sound quality and advanced features like Voice Commands. Then improved on the package with the fastest charging system, no limits on rider connections, one-click intercom setup and a self-healing mesh network that seamlessly manages connections in the group. All this with a price increase of just $30 over the 20S. It’s clear the new 30K is a feature-rich device, but what’s more impressive is how Sena made sophisticated technology easy to use. Whether it be intercom setup, voice commands, or configuring settings on the app, everything seems painstakingly thought out to reduce mental effort on the user’s part. Glove-friendly buttons, clear instructions and helpful videos to answer all your burning questions, continues the ‘Ease of Use’ theme. If you ride in groups of four riders or more, whether you are new to Bluetooth Headsets or an old pro, the 30K is worth a look. 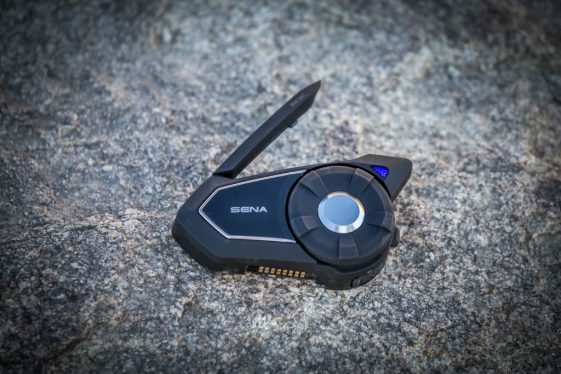 Even if you’ve been frustrated with Bluetooth Headsets in the past and you think they are too complicated or too much work, the new Sena 30K just might change your mind. Nice writeup, Rob. So, what did you not like about this new dongle, or its use? Thanks a lot Bob! I think Sena hit the nail on the head in terms of usability/ease of use. However, I think all BT headsets could benefit from improved range. I’d like to see Sena focus their engineering talents on making a big leap in range next. Also, as mentioned in the story, we ran into some problems with audio recording using the Sena Prism action camera with the 30K. I expect they’ll be fixing that glitch in one of their next updates though. Battery life is also something mentioned in the story that could be improved. If you are listening to music while on intercom, it can drain the battery faster than other Sena headsets we’ve tested before. Could be a problem for some riders that are doing long days in the saddle. But the quick charge really works fast so that’s a relief. Bummer still hangs below the helmet. That’s the one thing that scares the hell out of me with SENA devices. A sure collar bone chopper even in a light crash. Does this have push-to-talk or some other way to limit what is broadcast to the others in the group while still being able to listen? I do not need or want everything i utter in my helmet during the course of a day broadcast to everyone. What you can do after establishing your intercom connection is turn the mic off by pressing the mesh button for 1 second. That way you can still listen to others but they can’t hear you. Then when you want to say something, you can click the same button again for 1 second to enable the microphone. You can make it a policy with your group that everyone mute their mic until they have something meaningful to say. Exactly what a CB Radio does and they’re nothing new. CB Radios allow only one person to talk at a time. The Sena is full duplex allowing multiple people to talk over each other like a telephone conference call. Connectivity sounds wayyyyyy easier than my Cardo Scala Q3 — which everyone I ride with uses. When my Q3’s battery goes, this might worthwhile, though I know it’s not waterproof (important) like the Packtalk. True, not as waterproof as the Packtalk. But we’ve never had problems with a Sena device in rain. If you live in a really rainy place Seattle or plan a trip with deep water crossing, it’s definitely something to consider though. Wait….I don’t think the “Sena engineers” did much but hurry to catch-up here…Cardo’s PACKTALK headset has been doing this very thing for 2 years now??? Welcome to the mesh-club SENA!! Lol. In fact, after reading this (good write-up btw) I’d argue it’s even easier to use than 30K . We literally just power them on and we’re connected. Anyways, again, welcome Sena! Hi Melissa. When you buy a pair they are already connected together. But if you have to connect with friend’s who bought their units separately, you’ll find the process of connecting the Packtalk units for the ‘first’ time more involved. Did you actually USE the headset or are you reposting SENA advertising data? We bought 30k’s to get most of our riding group upgraded to Mesh… but had to switch back to Bluetooth because the 30k’s mesh functionality is essentially non-functional. Even standing right next to each other audio is lagging and constantly breaks up to the point that you can’t understand what mesh users are saying. This even after updating to latest firmware. The 30k at this point is a more expensive and less functional (no audio multitasking if you have a BT rider in the group) 20k. I’ve been a longtime Sena user and know they will work on this device for years to sort things out… but right now the 30k is a terrible product. Hi David. We did not experience any of the problems you described during our extensive testing. I think it could be an issue with compatibility with one of the older standard BT units you paired with in your group. We ran into a few glitches with when pairing with an older Prism Action Cam. See if you have the same problem with just the 30K’s connected together. Might be time for your friend to upgrade!